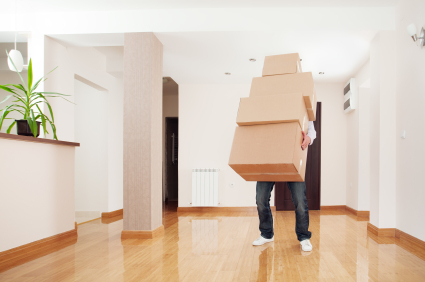 There are many good reasons people move – a new job, a fresh start – but many people forget to consider their children and their best interest when planning to move. Florida Statute §61.13001 sets out the procedure that parents must follow in order to relocate a certain distance away from the other parent. This statute was amended in 2009 with the changes making the relocation process more complex. If you are considering, or your child’s other parent or guardian is considering moving, call Boca Raton Family law attorney Matthew D. Martin as soon as possible to discuss your case and protect your rights. Florida Statute §61.13001 applies to “changes in residence”, meaning a move more than 50 miles away that is to last 60 consecutive days or more. The statute is specific in this regard and the days must be consecutive, meaning short trips or even longer vacations do not require special attention from the court. Timesharing parents may agree a move is in the best interest of their child or children, and each can express their consent in a written relocation agreement. This is usually the easiest way to settle the new arrangement, and Matthew D. Martin, Esquire can help you negotiate with the other parent and reduce your agreement to writing. Doing so ensures the relocation complies with Florida Statutes and ensures the agreement accurately represents your wishes. However, if an agreement cannot be reached, the question becomes can I relocate with my minor child? The parent wishing to relocate must file a petition to relocate and have it served on the other with several important details. Once you serve the relocation notice or are served, the clock starts ticking until a hearing in front of the court. If you are served with the petition and are not planning on moving, you may have a very limited time to respond. The timing is critical so you must work fast to draft a response. Failing to file a response can seriously affect your parental rights if you are unprepared and we strongly recommend consulting an attorney early on in the relocation process. Relocation attorney Matthew D. Martin can help parties who wish to move by helping you file the petition and can also help with parents who object to a parent who wishes to relocate. Please be aware that there are consequences if the procedure set out by the statute are not followed. First, there are temporary procedures where the court may grant a temporary order either restraining or permitting the relocation. The temporary hearing is held within 30 days of the motion, and the final trial will be within 90 days. If during that time you fail to respond or object to the relocation, the move may be permitted and the court can order a new time-sharing schedule without a hearing. If you are the one moving, and you move without first seeking permission of the court, you may be ordered to return your child to your original residence and also may be found in contempt or have your custody rights restricted. With all these timing considerations, it is important that you give very serious consideration to retaining an attorney regarding your family law relocation petition. Matthew D. Martin can help. Florida family law is complex and petitions to relocate under Florida Statute §61.13001 have to be pled with specificity. It has to include details like the date you intend to move, your proposed alternative to timesharing, and many other important considerations regarding changing the timesharing between parents. Our firm knows how complicated the petition and process is and we can help you with your case. Contact us now at (888) 984-6487 for a free case consultation regarding your particular circumstances and how we can help you navigate Florida Statute §61.13001.